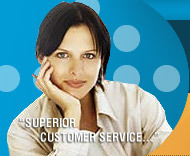 OnTimeHost offers full featured Web Design starting at $19.95/page. The original price for this page design is $100. This is a saving of $80 per page !! can you imagin!!. This package is designed for small companies that want a professional web site but want to stay within their budget. We offer you a range of templates for you to choose from. We have put this brilliant special limited offer, only for you with no hidden cost. These are the templates that will be use with this Special Offer. For more information about our template range, feel free to e-mail us.